For those of us waiting forever and a day it seemed for new product from Kenny Selcer the reward for the five or so year pause has ceased! While Kenny's touring schedule and musical commitments may have kept him out of the recording studio there has never been a lessening of his luminous stage performances. 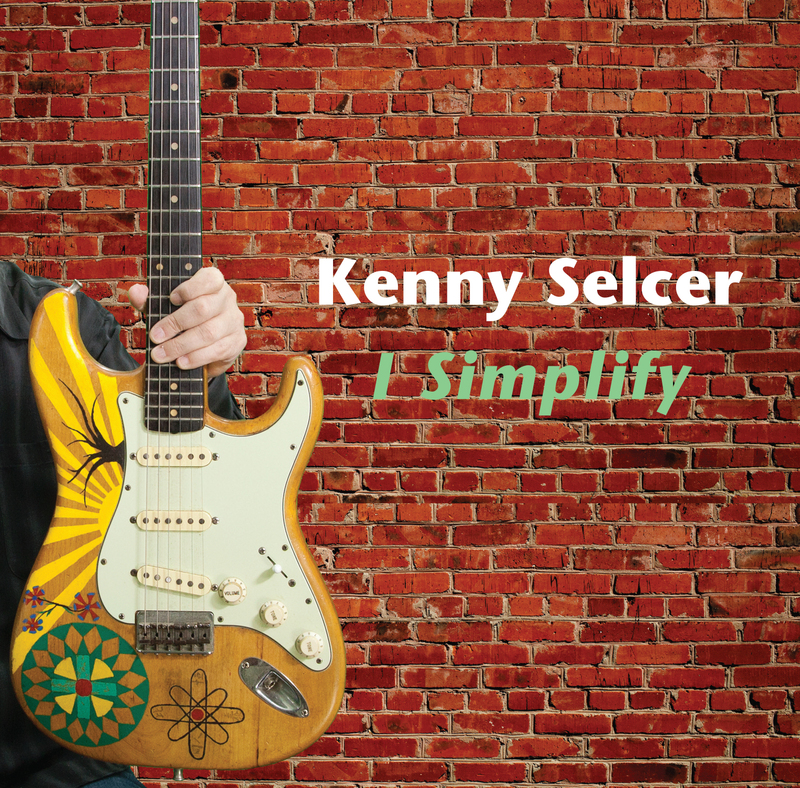 Kenny's follow-up to the superlative Don't Forget About Me called I Simplify continues his incredible talent to craft tunes that flourish in the studio and resonate on the concert stage. We are gifted with fourteen tracks that will take you on a musical roller-coaster from multifarious styles and genres. When you listen to I Simplify notice the length of time of each track. None clock in under four minutes. This is stated to solidify Kenny's commitment to his art and the fans expectations. It is never about forcing a radio friendly tune that may win an isolated battle but would lose the Rock & Roll War. The opening track I Know It's Not Too Late conjures up sounds of early Dire Straits. Kenny not only grabs your attention from the initial notes but holds it throughout the CD's sixty-eight minute journey to the past, present, and future. It's All Around You would make Tom Petty proud. Kenny has captured the sound and the feel but while paying homage make no mistake it is still his own voice. A tune getting a lot of attention is Without You. Think Traveling Wilburys Volume 1 meets Kenny Selcer and it begins to make sense. His ability to change style and vocal inflection from song to song is rare in the industry and to achieve desired results without any notes ever being forced is even more obscure in today's lack luster musical landscape. It Was You will have fans of Eddie Cochran, Carl Perkins, and Gene Vincent engrossed as to how in 2017 Kenny is delivering a knockout blow with a cross of Rockabilly and Swing. Wisely woven in the web is an instrumental Kenny's Song. Its purpose is multi-fold. First it shows his ability as a guitar-player too long underrated in the field. Secondly placing it as Track 10 lets us digest the lyrical caravan we have been riding during the previous nine. Ending the sojourn Kenny is joined by a longtime friend Steve Gilligan (legendary New England Band The Stompers) contributing the bass-lines on Stay Awhile. In the realm of the recent works of John Mellencamp. A flawless finale to the CD or should we say beginning as I'm not alone hitting the replay button. Mixed by Matt Hayes in 2016, except for It's All Around You and Evelyn, mixed by Huck Bennert 2006-2007. Recorded at Wellspring Sound, Acton, MA (Dave Rizzuti and Huck Bennert) and at Kenny's house, Lexington, MA (by Kenny Selcer) and Harvard, MA. On Kenny Selcer’s long-awaited ambitious effort, I Simplify, New England’s veteran acoustic / Americana minstrel has put together an album that fuses Rolling Stones Exile on Main Street nuances with Grateful Dead guitar/keyboard interplay. Those Stones’ nuances are subtle, an undercurrent on the opening track, “I Know It’s Not Too Late,” Selcer’s philosophical observations rife with intentional simple word structure a la Bernie Taupin in Elton John’s classic “Daniel,” taking the “rain in Spain” cliché rhymes and using them to good effect. “It’s All Around You” was in release a few months before the album (an electronic, internet single, of sorts) and it is beautifully constructed with Steve Peabody’s drums giving the reggae flavored love song it’s march along beat. The production is exquisite, Selcer the former owner of a recording studio in Boston back in the 1980s and live sound engineer who has worked with too many name artists to list here, places instrumentation and voice perfectly. Each song is over four minutes, so the fourteen tracks make for a lengthy listening experience, about seventy minutes or so. Kenny Selcer - all guitars, bass, keyboards, mandolin, all vocals, percussion, drum programming. The four and a half minute “Evelyn” is a standout and has Selcer on mandolin and most instruments a la Emmit Rhodes and Paul McCartney, Rob Rudin helping out with some of the drum programming. For the Americana Pop that the song is, there’s a flavor of blues in the singing and lyric. Read review on TMR Zoo here.